Ticket Club - Concierge Services of Atlanta, Inc.
Our service charges are very competitive and comparable to those of online sites. Many times, our fees are less. CSOA never limits the number of tickets you can purchase unless we are required to do so by the promoter. 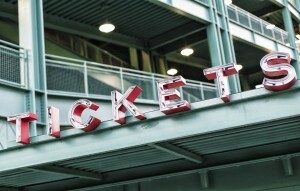 Many online sites limit the amount of tickets individuals can purchase. If you purchase a ticket from CSOA and lose your ticket, we can get you a replacement at no charge to you. CSOA employs a fulltime Director of Ticket Services who oversees all aspects of our ticketing program and we use proprietary, web-based ticket management software to ensure that this process flows smoothly. If you would like to get more information about joining our ticket club, please call our office at (404) 816-1677 or email Monica Hurley at mfhurley@csoa.com.